Etopia was founded to create a virtual world in which we could explore how to adapt to the challenges posed by Peak Oil and Climate Change. Since the beginning Etopia has been about sustainability and embracing the ideas of a community of creative, passionate, and thoughtful participants. 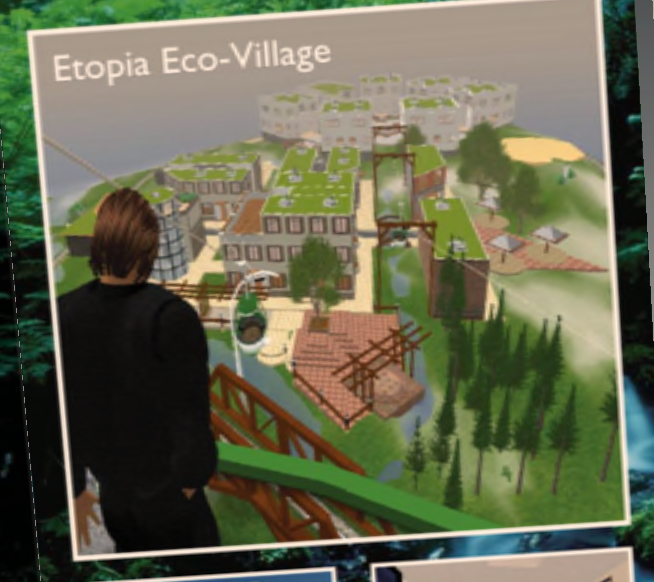 Established on Earth Day 2007 Etopia quickly became Second Life’s premier Environmental Eco-Village as a showcase of ideas for a sustainable future. As our ideas developed our regions evolved. 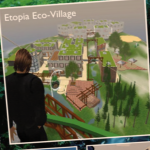 Etopia is a virtual collaboration space for nonprofits, environmentalists, activists, artists, engineers, designers, and others from around the world and is filled with organic, cooperative, and sustainable living systems. Our islands are designed to reflect how we can have what we need (and want) to live well without negatively impacting our environment. 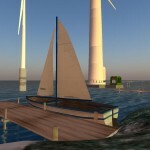 Second Life offers a robust platform for collaboration and education. Our residents have created and maintain virtual demonstration projects of real world environmental initiatives, examples of green infrastructure, build examples of sustainable communities and business practices, share information, and interact in an enjoyable and informative way. Our simulation in Second Life is designed to embrace, encourage, and enlighten. From green rooftops to green offices we’ve created a unique and inspired simulation that will engage and inform. Ride the gondola to Eagle Peak. Walk home from your shop at Etopia Plaza and stop at the Farmer’s Market on your way. Join friends for coffee at Tsidel’s Cafe or enjoy a game or two at Ginny’s Arcade. Enjoy live music at KATJA’s or sail our fully navigable waterways. Visit Etopia and find out more about environmental, community, and organizational sustainability. Learn how you can take some of our ideas and apply them to the real world. Visit us today for an experience you’ll not only enjoy, but grow with.